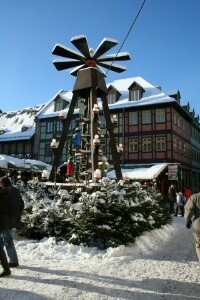 The Christmas Market in Wernigerode takes place in one of the most picturesque settings in the Harz region. 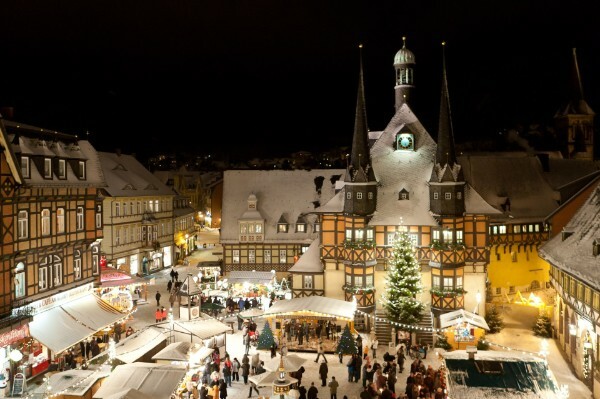 On the market square, overlooked by the 15th century town hall and surrounded by lovingly restored half-timbered houses, a number of stalls offer a variety of traditional food and drink as well as local craftsmanship. 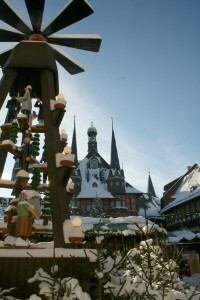 The centrepiece of the Wernigerode Christmas market is a 10 m tall Christmas tree lighting up the square right in front of the town hall. 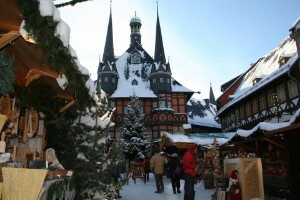 Above the town towers the Castle, dating back to the 12th century which is now open as a museum with rooms displaying the furniture of the last occupant, Earl Stolberg-Wernigerode, and an impressive dinner hall. 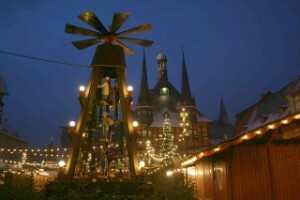 On 28th and 29th of November from 10 to 6 pm the Castle holds it own Christmas Market in the inner court yard with a visit from a fairy at 3 pm and Nikolaus giving out presents to children at 4 pm. 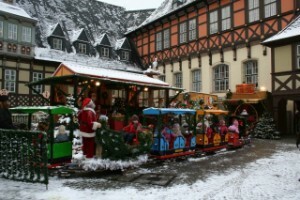 For these two days museum tickets (incl the Wernigerode Castle Cristmas Market) are discounted.